10 most useful practical tips for touch screen protection of your Mobile and Tablet computers for those who love their touch screen gadgets. Follow these very doable things to prolong the life of your Touch screen device. Touchscreens are sensitive to dust, scratches and unintentional touches. 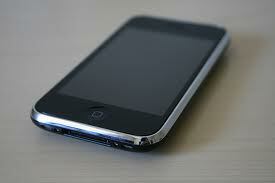 To protect your mobile touchscreen you need to use a screengaurd or touch screen protectors. Preferably you should enquire with the authorized retailer if the manufacturer provides a screengaurd or not. Though company supplied screengaurds are expensive but they are worth it. If you are low on budget, you can buy a good quality screenguard from other brands like MoLife etc. Touchscreen phones and tablet devices are expensive devices and you may not want to carry it around in your pocket or bag with the screen bearing the brunt of rough surfaces. It is always advisable to carry your device in a good quality clean soft-on-inside carry case like those made by original device manufacturer or by a reputed brand like Otterbox etc. Be gentle on your touch screen. Unnecessary pressure on your touchscreen can damage the inner chemical layers (ITO layers) or digitizer. Be extra careful while cleaning the touch screen. Don’t press too hard at the edges to prick out dirt etc. Also note that, Resistive touch screens are more vulnerable to this kind of damage than capacitive touch screens. Touching with oily or greasy hands will make your touch screen erratic and oil may even seep through the edges and damage your screen. So always use clean dry hands to touch the screen. Never Use water to clean your Touch screen. Always use a screen cleaner solution to clean the screen. You can buy a touch screen cleaning solution online and at electronics goods stores or just search Ebay. Don’t even use glass cleaning solutions like Collin on your touch screen as it may damage the screen. Protect your touch screen from static build up. Static build up can occur due to long time talking on the phone or even due to improper carrying cases. Static may render your touch screen unresponsive for some time and reduce its overall life. Preferably use a clean anti-static case for e.g. a leather case. Always deploy proper cleaning method for cleaning your touch screen. See [How to] Clean Touch Screen of Your Mobile phone or Tablet to learn how to properly and safely clean your touchscreen mobile or tablet. Protect your touch screen device (phone or tablet) from strong magnetic fields. Don’t place it too near to speakers or Televisions or other electrical devices. Prolonged exposure to magnetic fields can cause temporary or even permanent damage to the screen. Stylus if provided with your touch device needs to be used with utmost care as a deformed or bruised stylus can leave a lot of scratches on your touch screen. So make sure your stylus or digital pen is in good condition and then use it gently. This is an important point and you must always get your phone or Tablet PC serviced at the authorized service center (Though it may be a little expensive but its always worth it !!). Local technicians may open up your phone or tablet apart but they don’t have that expertise and tools required to put every thing back in place precisely, leaving you with some other problem in your device. I have seen this myself a couple of times. This post was originally published on Indigic.com.